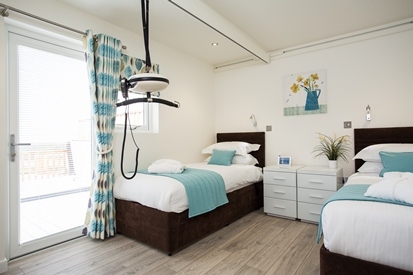 Some of these recommended accommodation providers have wheelchair friendly/accessible facilities. This is mentioned in the title of the individual provider below. Accommodation listings by Mylor Sailing School. We have been to most of these places or know the agencies and are happy to recommend them. 8 Beautifully kept apartments right in the harbour. They can accommodate between 2 – 8 people. Beautiful self-catering homes for rent in the most beautiful locations often with a view of the coast and mainly in the Fal Estuary. High quality cottages around the Beautiful Flushing area, lots of dog friendly accommodation as well. They also have a great self-catering apartment with wheelchair friendly facilities. This apartment is called ‘Quayside’ and is located in Penryn (about 3 miles from Mylor). Click here to go straight to the apartment. On the Roseland Peninsula, near St.Just in Roseland, a 40 minute drive to Mylor Sailing School via a beautiful crossing on the King Harry Car Ferry, or if you are travelling by water, it’s around 10 minutes! based 10 minutes from Falmouth in Maen Valley. This is a beautiful location close to beaches. 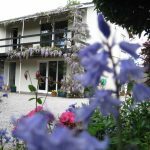 The Valley – Luxury Holiday Cottages, self-catering holiday accommodation in the beautiful Carnon Downs area in between Truro and Falmouth. 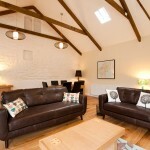 Enjoy the comforts of being in your own home whilst experiencing the best that Cornwall has to offer. This holiday village is close to Portreath Beach which is on the North Coast and around a 35 minute drive to Mylor Yacht Harbour. Gwel an Mor Accessible Accommodation link for a direct link to their accessible accommodation. They also have a Gwel an Mor Accessibility Guide link for a direct link. A 15 minute walk from Mylor Sailing School. Beautiful farm house location with magnificent views of the Fal Estuary. Sleeps 6 in total. Located in the bustling town of Falmouth. Very friendly owners, and keen sailors. With stunning sea views across the bay, St Michael’s Hotel and Spa is opposite Falmouth’s sandy ‘Blue Flag’ beach, set within its own four acres of picturesque sub-tropical gardens St Michael’s Spa is Cornwall’s leading destination featuring a large heated indoor swimming pool, jacuzzi, sauna, steam room and well equipped fitness suite. AA 4 star with AA Rosette for food. A lovely 4 Star Hotel, which is on the Helford River, highly recommended. They also have self-catering cottages. This is conveniently located 5 minutes from Falmouth Town, as well as being only 2 minutes from the beach. Judi and her family have been involved in the Marine Industry, both here and overseas, for over twenty years and particularly welcome water orientated folk. This comfortable hostel lends itself, both to individuals and to small or large groups (up to 21). From £19 per person per night with a complimentary breakfast thrown in. It also has free Wifi and use of the kitchen and lounge facilities. Small and rural. Walking distance to a pub and a shop in Mylor Bridge Village. Near Truro, this is set back from the main road but very easy to get to a lot of places. Near Falmouth (approx. 10 minute drive to Mylor) and they have some of their caravans have low thresholds and access has been possible for certain mobility impaired guests. They would be pleased to discuss limitations when making a reservation. For hearing impaired guests teletext T.V. with subtitle service (888) is available in all caravans. 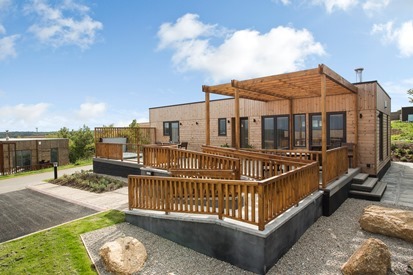 They do not have a fully converted wheelchair access holiday caravan but are working towards this facility. This is close to Maenporth Beach just outside Falmouth and great for families. Set in 12 acres, also close to Maenporth Beach and Falmouth. Recommended for families. Budock Water near Falmouth (approx. 15 minute drive to Mylor). They have ‘full disabled facilities’ as per their website. They do not have an accessibility statement.